How to make browsing life science, biotechnology and medical technology resources intuitive and fast while keeping maintenance easy? 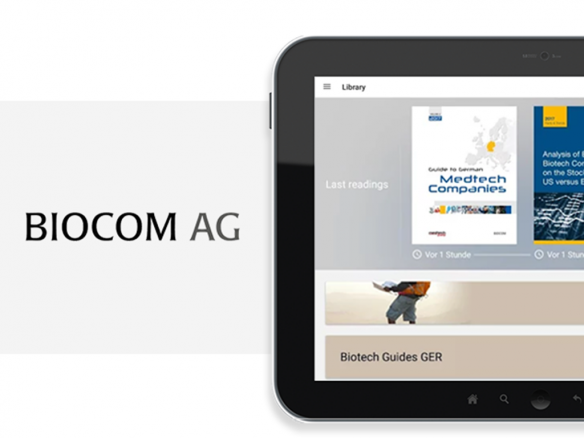 Biocom AG is an information specialist for Biotechnology and life science. For over 30 years they have been gathering and tracking all biotechnology and medical technology developments and content including industry presentations, trade journals such as the European Biotechnology Magazine, consulting, events and surveys on specific topics. But with many sources of knowledge comes a challenge: how to offer the easiest access for users while creating an intuitive backend process for those handling updates and adding new information? And how to evolve the existing app hosting various resources to future proof it when it comes to costs, usability for readers and the innovation factor? Biocom AG started working with Rakuten Aquafadas a few years back. But as many today’s information providers, they realised that multiple simple apps as resources for life science are not sustainable. As opposed to building and running multiple single apps acting as fast search of information designed for users from life sciences, biotech and medtech sectors, they decided to build a iOS and Android kiosk app available for smartphones and tablets. 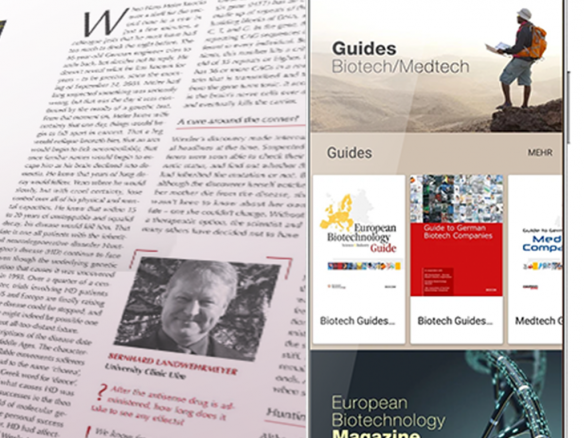 Their choice has been driven by a need to combine multiple products (different magazines for example the European Biotechnology Magazine with four issues per year), making it less confusing for readers. 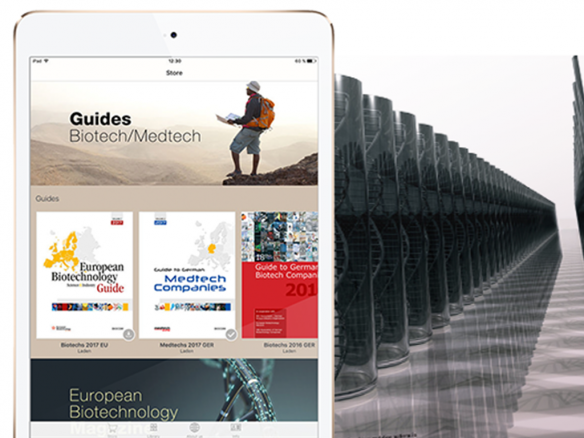 The app has been enriched with multiple features all designed to elevate the user experience far beyond a printed book. By adding notes they wanted to help with usability by offering a possibility to mark, note and contact later on a person whose address and phone number have been featured in an app. Full text search has been included in order to get better overview and results for users scrolling across many information sources like over 12 issues of a magazine and simply looking for a company name or a special component in a drugs.